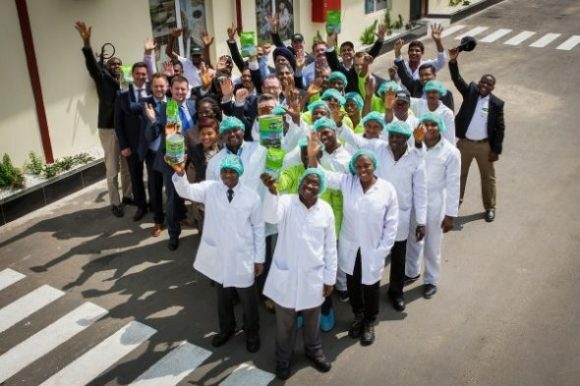 Ornua, formerly known as the Irish Dairy Board has opened a new packaging factory in Nigeria. The new factory which is a joint-venture between Ornua and Fareast Mercantile, will enable the company have direct access to the Nigerian market. The powdered milk which is being imported from Ireland will be packaged under the Kerrygold brand. “Importantly for Irish farmers, this development offers an enhanced route to market for the additional forecasted milk volumes,” Ornua chief executive, Kevin Lane, said. In 2013, Ornua opened its African headquarters in Port Elizabeth, South Africa, to enable the company have a presence in the African market. The facility currently employs 250 people both directly and indirectly. Nigeria is one of the top three destinations of powdered milk products in Africa, importing 166,000 tonnes in 2014 with a retail market value of €455m. This year has seen an uptick in investment activities in the dairy sector. In April, PZ Cussons bought out Glanbia stake in the Nutricima joint-venture thereby taking full control of the business. In June, Royal FrieslandCampina invested €180 million in its Nigerian subsidiary, FrieslandCampina Wamco by acquiring 127,184,030 ordinary shares of the company’s stock, a 13 percent increase. And in October, Cadbury, makers of Bournvita inaugurated a new N10bn factory at its Agindingbi site. In November, Arla Foods of Denmark partnered with Tolaram Group in a 50/50 joint-venture to market powdered milk under the Dano brand. A new production facility was built in Lekki, Lagos for this partnership at a cost of N4bn. Also in November, FrieslandCampina Wamco launched a Dairy Development Programme with Shonga Dairy Farms in Kwara State to harness and source locally produced milk for its production facilities. Ornua is hoping to make €3bn in sales in the post-milk quota era based on strong demand for new powdered milk in Africa and Asia. The company, which owns the Kerrygold and Dubliner cheese brands, is Ireland’s largest exporter of butter, cheese and milk powder, trading in 110 markets, and is likely to benefit most from an opening of Europe’s dairy trade.